2018-KBF-OPEN-Payout-Chart-180413While the Challenges that Kayak Bass Fishing conducts are for KBF Members, all events in the KBF OPEN Series are for both KBF Members and non-members. Prizes are paid out to 10% of the field (click “2018 KBF OPEN Payout Chart, at right, to open a PDF showing payouts by number of registrations), with first place guaranteed $5,000. Another $5,000 in KBF BONUS BUCKS are paid out to first place if the competitor is enrolled in the KBF’s contingency awards program. Entry fees for these events are $150. Registration and payment of entry fees usually takes place on TourneyX; however, since these are meet-up tournamants, competitors may register on TourneyX and pay online at the Event Check-in. Event-specific KBF Competition Rules Addendum, which are posted on the Calendar Events pages of this Website. Resident or temporary visitor fishing licenses are required by all KBF OPEN participants. If the tournaments are held on border rivers or lakes, usually either state’s fishing license is valid for visitors or residents of either state as long as you remain in your watercraft. If you choose to exit your watercraft temporarily in order to wade or fish from the shoreline, you may need a license for that state. Specific guidelines and clarifications are provided for each event. 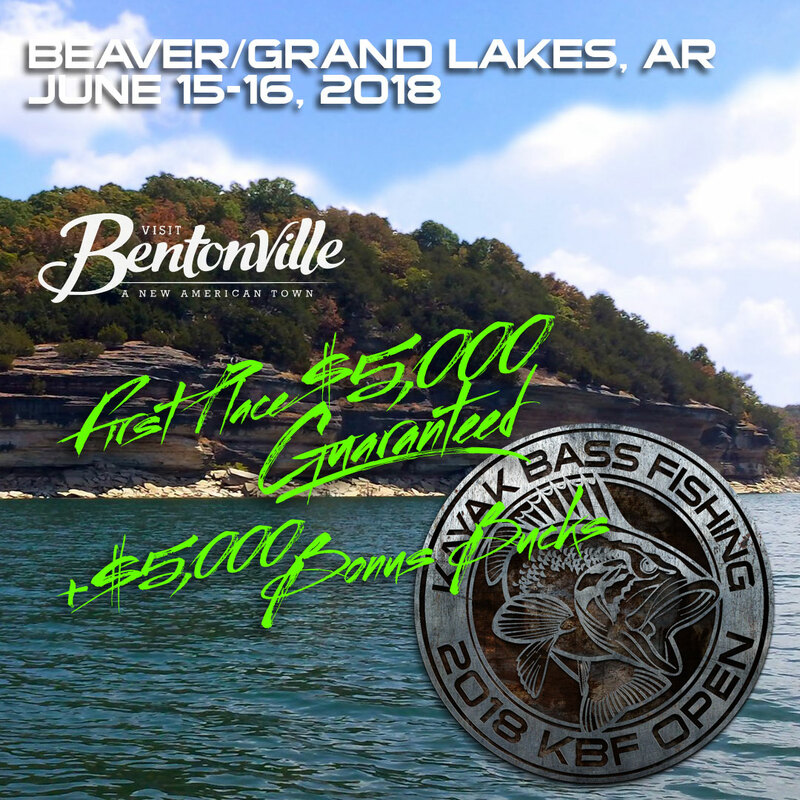 Venue Host: Bentonville, Arkansas lies in the center of kayak bass angler heaven, and KBF Members and guests will have opportunity to sample the waters in two nearby lakes, Beaver Lake in Arkansas and Grand Lake, Oklahoma. Tournament HQ: Four Points by Sheraton, Bentonville, located at 211 SE Walton Blvd, Bentonville, Arkansas 72712. For a special KBF Group Rate of $79.00 over the dates of June 14th – 18th, call the hotel (479-715-6388) and refer to the group block as “KBF 2018 Tournament” or the group code “KF13AA.” That rate includes breakfast and complimentary Wi-Fi. Space is available for kayak storage, if needed. Located within walking distance of restaurants and downtown Bentonville. Summertime is bass fishing time in the weedy maze of waterways that fringe the Mississippi River bordering Wisconsin and Minnesota. Both largemouth and smallmouth are plentiful in the upper Mississippi River (including Black River) near La Crosse. Smallmouth hold along main river channels where rocks, downfalls and wing dams block the current, while largemouth bass abound among the weeds and stumps in the shallow backwater sloughs and passes. Review Wisconsin fishing regulations and purchase your fishing license on the Wisconsin Department of Natural Resources website. West coast KBF Members will, for the first time, host a major KBF open-registration tournament west of the Rockies. 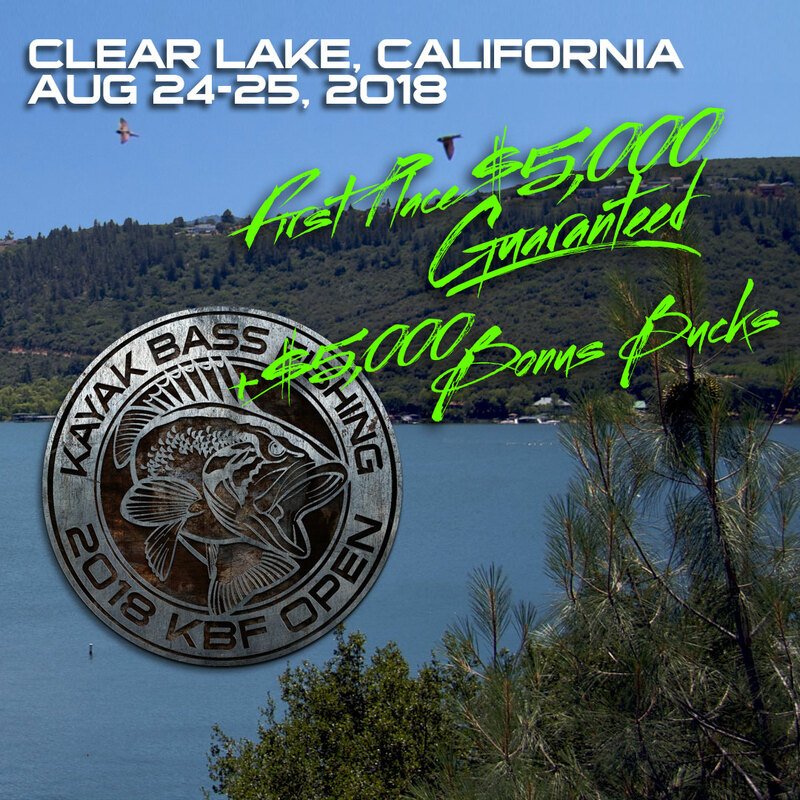 This mid-summer KBF OPEN is set in northern California. 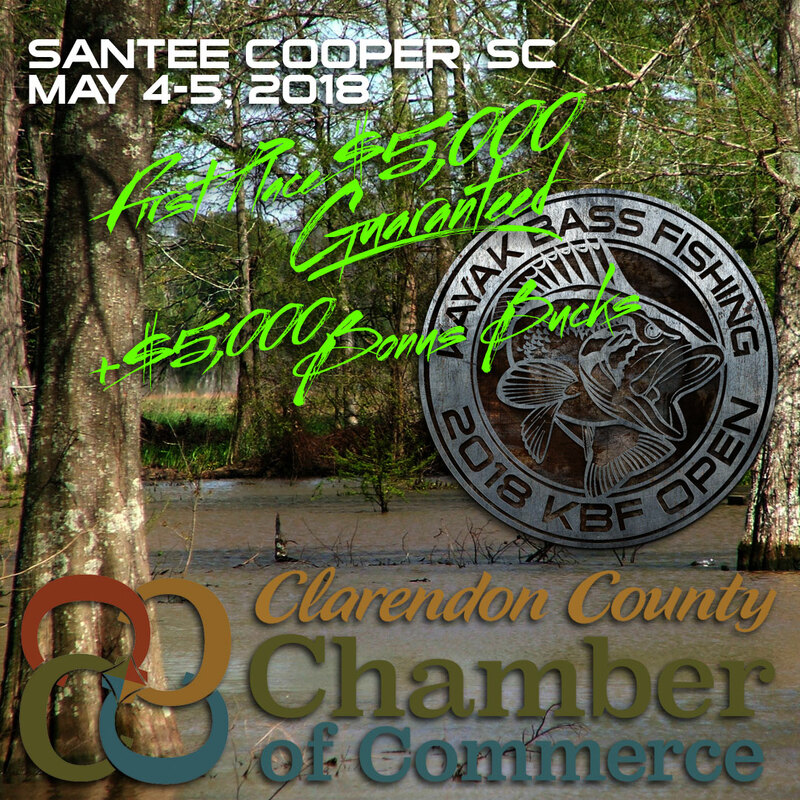 200 KBF Members and kayak angling guests from the Pacific coast and western mountain states will compete for two days in this beautiful setting known for its gigantic Florida-strain largemouth bass. Convenient access from northeast population centers, ample hotels, excellent fishing and regional support by KBF Partners makes Erie an natural choice for a late-summer/early fall KBF OPEN. 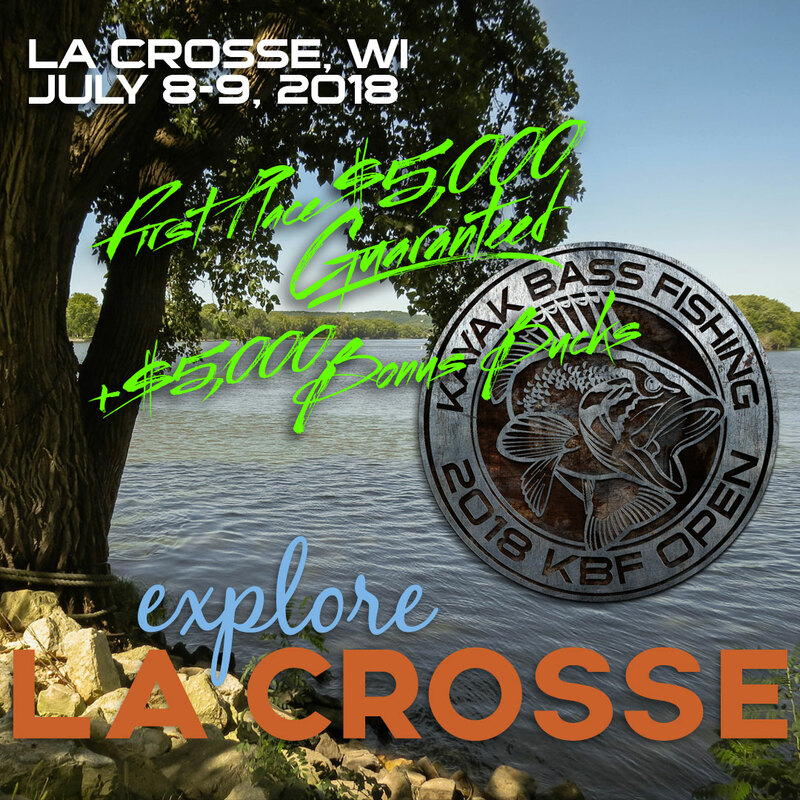 200-400 KBF Members and other kayak anglers from across the nation will have two days to prove the effectiveness of kayak fishing for putting big smallmouth on the leader board.